This Privacy Statement outlines the information Dairy Farmers of Canada may collect and how we may use that information. This Privacy Statement applies only to Dairy Farmers of Canada websites that are intended for use by residents of Canada. DFC values the trust of all individuals and recognizes that maintaining this trust requires that DFC be accountable in how it collects, protects and uses personal information. Dairy Farmers of Canada will only collect personally identifiable information about you (such as your name, address, telephone number, date of birth or e-mail address) if you provide it to us voluntarily. You can choose not to provide us with such information although this may sometimes affect your ability to participate in certain promotions, including offers of products samples or information or the sending of messages through some of our websites or interactive advertisements. It may also affect your ability to participate in DFC’s educational programs. Dairy Farmers of Canada may collect and use your personally identifiable information to help us better understand your needs and how we may improve the products and services that we offer you and to contact you. Your information may be shared with agents or contractors of Dairy Farmers of Canada in connection with services that these individuals or entities perform for Dairy Farmers of Canada. Otherwise, Dairy Farmers of Canada will not disclose your personally identifiable information to others without your consent. The information and promotions in Dairy Farmers of Canada’s websites are directed at residents of Canada and are valid only in Canada unless otherwise indicated on the website. We may sometimes request that you verify you live in Canada so we can be assured that the response or information we provide to you is appropriate for your country of residence. There are circumstances where the use of personally identifiable information may be justified or permitted, or where Dairy Farmers of Canada is obliged to disclose such information, including where Dairy Farmers of Canada is required by law, order or requirement of a court, administrative agency or other government tribunal; to protect the rights, privacy safety or property of others; or where the information is public. Dairy Farmers of Canada endeavours to ensure that any personally identifiable information provided to us is kept accurate, current and complete for the purposes for which the information is used. Dairy Farmers of Canada keeps such information only as long as it is required and we destroy, delete or convert such information into an anonymous form when it is no longer required. Consent of an individual is required for the collection, use or disclosure of personal information, except where consent is not required by privacy legislation. DFC will only ask for information about the individual that DFC needs and will only ask for it when DFC needs it. When DFC asks the individual for the information, DFC will explain to the individual why DFC needs it and what DFC is going to do with it. Depending upon the way in which the information is collected, this shall be done orally or in writing. An application form. By completing and signing the form in writing or electronically, the individual is giving consent to the collection and the specified uses. DFC recognizes the need to provide additional privacy protection for children who use our educational programs. If you are under the age of 13 and participating in an educational program, you are not required to provide us with personal information. Students register for these programs through class code and ID, both of which are provided by the teacher. Students provide their first name only to facilitate student engagement and class management for the instructor. If you are 13 years of age or older and participating in an educational program for middle and high school grades, you may be asked to provide DFC with personal information such as name, email address and phone number. This is for program specific purposes and optional. This information will be deleted at the end of the school year. DFC does not use any of its programs to market or advertise to children. Dairy Farmers of Canada is committed to keeping secure the data you provide us and will take reasonable precautions to protect your personally identifiable information from loss, misuse or alteration. 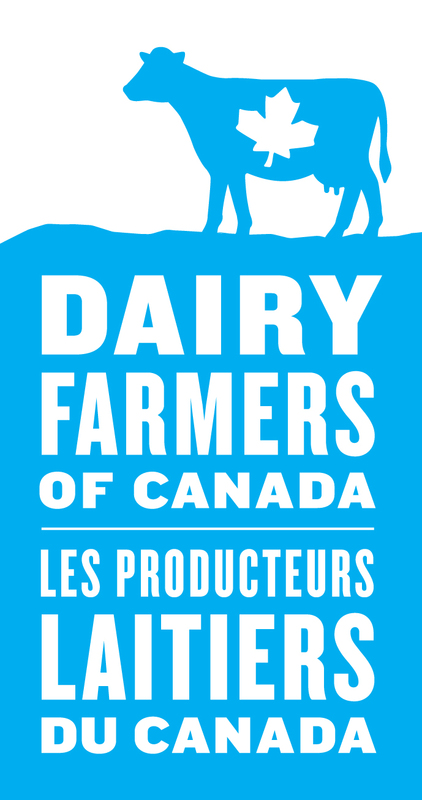 Agents or contractors of Dairy Farmers of Canada who have access to your personally identifiable information in connection with providing services for Dairy Farmers of Canada are required to keep the information confidential and are not permitted to use such information for any other purpose. We may collect information about you that is not personally-identifiable such as the type of Internet browser or computer operating system you are using and the domain name of the website from which you linked to our site. In addition, when you view one of our websites, we may store some information on your computer in the form of a "cookie" or similar file. Cookies allow us to tailor a website or promotion to better match your interests or preferences. We are also using the Google Analytics Advertising feature « Google Analytics Demographics and Interest Reporting » in order to use non-personally identifiable demographic and interests data about our users collected through Google advertising products. We use this feature and this non-personally identifiable information to better tailor the content of our website to our users. At no time this non-personally identifiable information collected through the Google Analytics Advertising feature « Google Analytics Demographics and Interest Reporting » will be merged by us with personally identifiable information unless you have expressly provided your consent in this respect. You can opt-out of the Google Analytics Advertising feature « Google Analytics Demographics and Interest Reporting » by visiting Google’s Ads Settings. Most Internet browsers also enable you to erase cookies from your computer hard drive, block all cookies, or receive a warning before a cookie is stored. You may also set preferences regarding collection of cookies and/or tracking directly on your device. Please refer to your browser or device instructions or help screen to learn more about these functions. Please contact us at question@dfc-plc.ca (addressed in the subject line to our "Chief Privacy Officer") if you have any questions about this Privacy Statement or any personally identifiable information we may have concerning you, or if you would like us to delete any personally identifiable information we may have concerning you. Dairy Farmers of Canada reserves the right to revise this Privacy Statement at any time subject to applicable law.